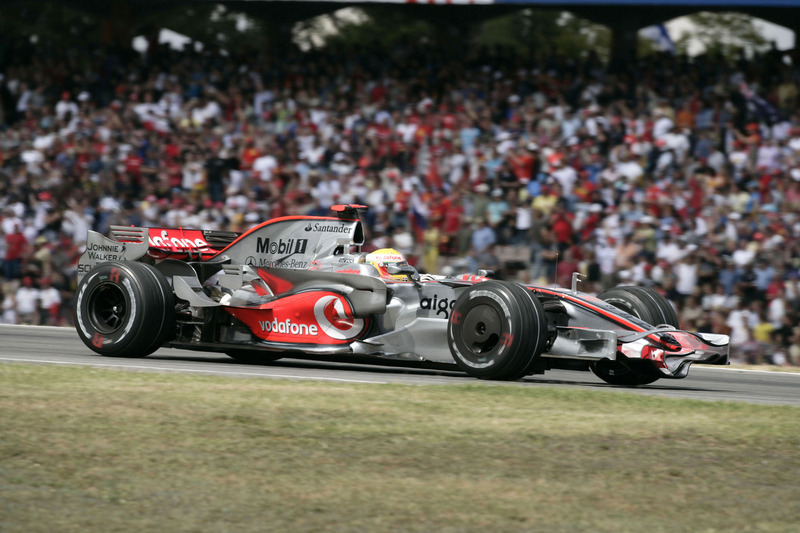 The second home Grand Prix victory in a fortnight and the second consecutive race win for Lewis Hamilton and Vodafone McLaren Mercedes. 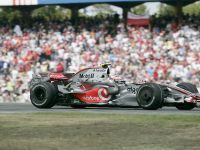 Lewis's supreme win in the Santander German Grand Prix was the team's first at Hockenheim in a decade, marking 10 years since Mika Häkkinen won in a McLaren-Mercedes MP4-13 in 1998. 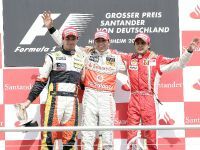 After 67 laps (308.9km), Lewis finished 5.5sec ahead of Nelson Piquet (Renault) and Felipe Massa (Ferrari). 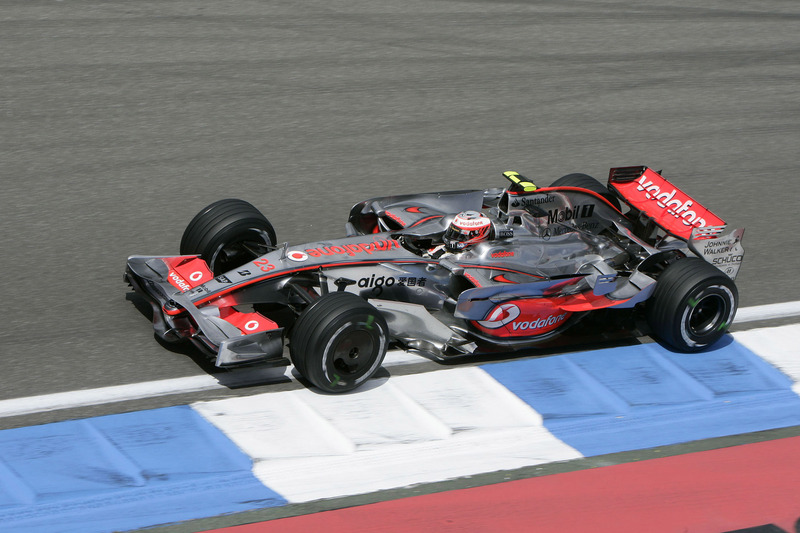 Heikki Kovalainen, whose race was disrupted by the Safety Car, finished fifth. As the Formula 1 World Championship commences its second half, Lewis now leads the series with 58 points. 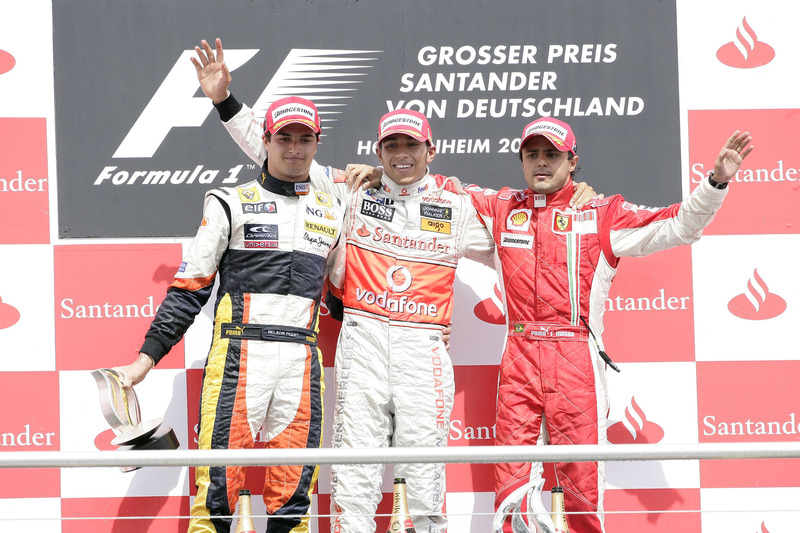 He lies ahead of Ferrari drivers Felipe Massa (54 points) and Kimi Räikkönen (51). Heikki is sixth overall with 28 points. 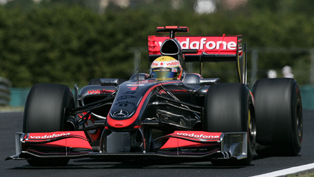 In the Constructors' Championship, Vodafone McLaren Mercedes is third with 86 points; Ferrari leads with 105 points. 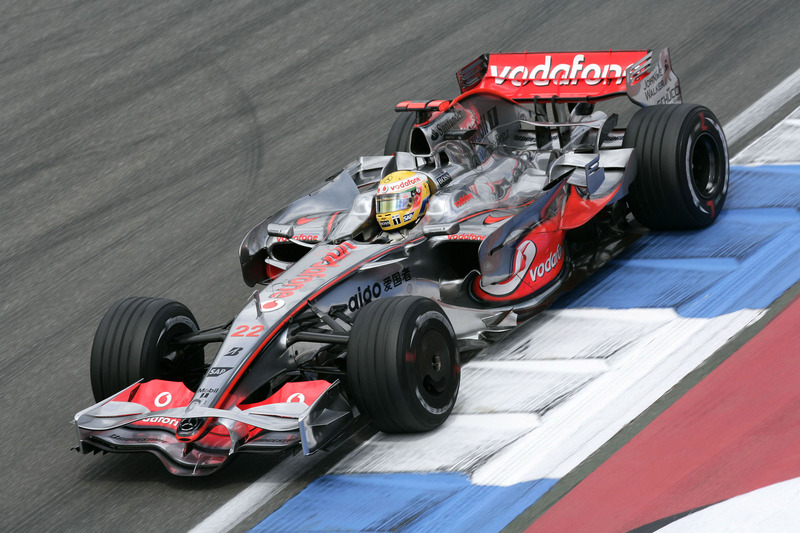 The start: For the ninth time in his Formula 1 career, Lewis started from pole position whilst Heikki lined up third on the grid. 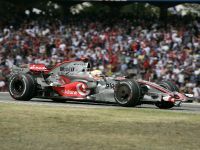 Lewis accelerated into an immediate lead and opened a gap, leading after the first lap with 1.8sec ahead of Massa and Heikki. 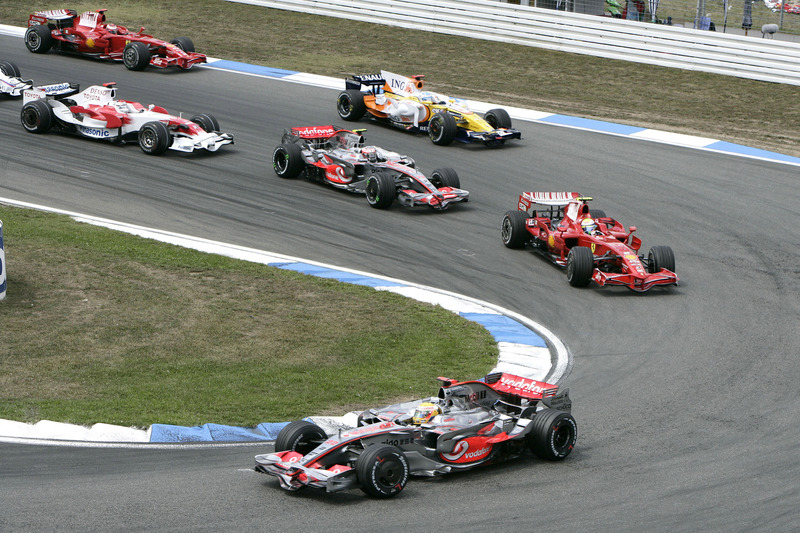 The race, lap 10: Lewis extended his lead to 7.0sec; Massa was second followed by Heikki. Lap 18: Lewis came in for the first time (9.0sec) and resumed the race in fifth place. 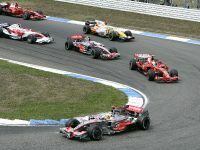 One lap later he was third and after Massa's first stop on lap 20, Lewis improved to second. Lap 21: Heikki pitted from the lead (9.2sec) whilst Lewis took the lead again. 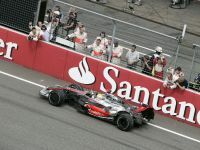 Lap 29: After the first round of pit stops, Lewis held a 10.4sec lead over Massa and Heikki was third. Lap 37: Following an accident of Timo Glock (Toyota) on the front straight the Safety Car was deployed. Lap 38: Heikki came in for his second stop (8.3sec) during the Safety Car period whilst Lewis remained on the track and in the lead. 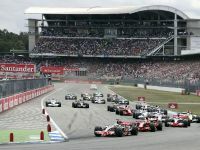 Lap 42: Re-start; Lewis was in the lead ahead of Nick Heidfeld (BMW Sauber); Heikki was sixth. 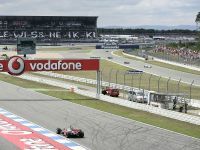 Lap 43: Heikki overtook Robert Kubica (BMW Sauber) in front of the Mercedes grandstand and improved to fifth place. Lap 50: Lewis came in for his second stop (6.6sec and rejoined the race in fifth place behind Heikki. Lap 52: Lewis overtook his team mate at the hairpin and was fourth, 3.9sec behind Massa. Lap 57: Lewis outbraked Massa at the hairpin and was second behind Piquet. 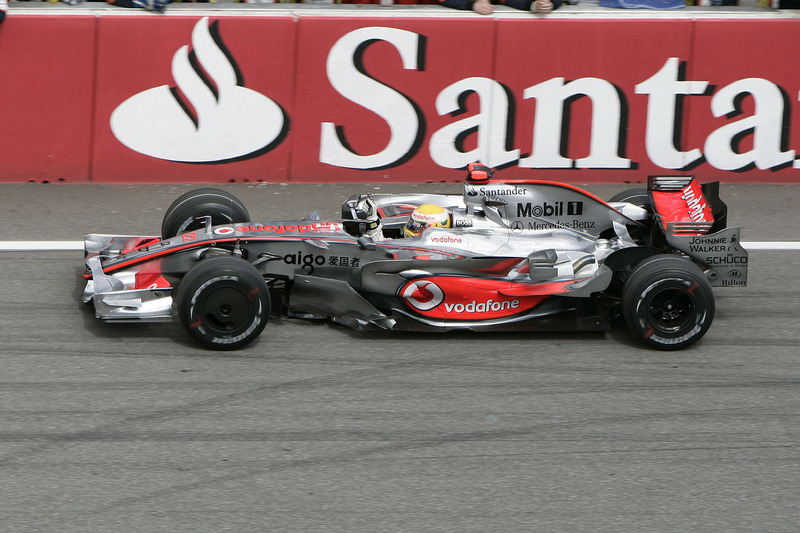 Lap 60: Again at the hairpin, Lewis overtook Piquet and was back in the lead. 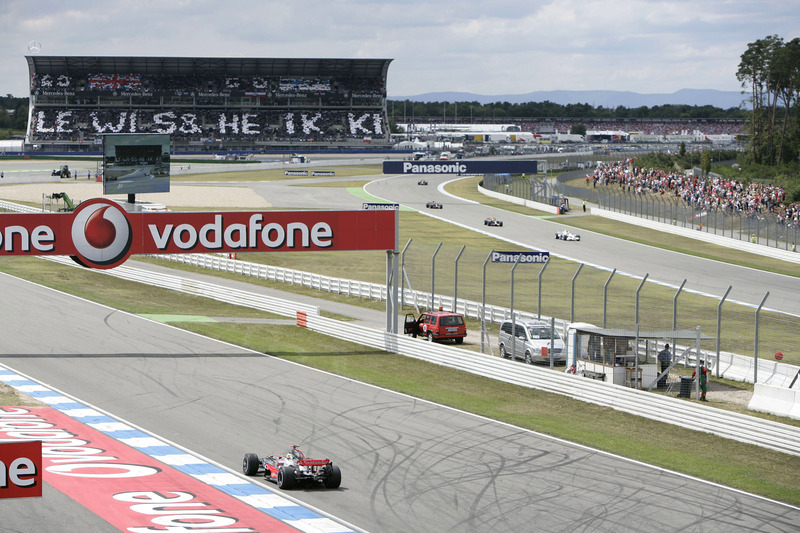 Lap 67 (finish): Lewis clinched his eighth F1 career victory; Heikki came home fifth. "I nailed it this afternoon: when the team told me I had to build a 23-second gap in just seven laps, I knew I had to drive over the limit - and I did. 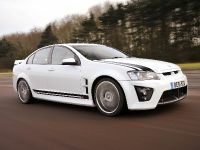 But I knew we had the best car this weekend and felt comfortable pushing hard to make up the gap. In the final stint, I had to work for today's win - when the Safety Car came out, I questioned whether I should pit but I trusted the team to make the best decision on strategy. It didn't quite work out - but I knew we had the pace in the car to keep pushing and want to say a big thank-you to Heikki, who realised I was quicker. I was able to slipstream past Felipe and then thought my work was done; then I had to do it all again to get past Nelson. But I made a couple of textbook moves to get past them both. Everybody in this team has worked so hard to make this victory happen. We mustn't grow complacent but must feel assured that our efforts are being rewarded. We couldn't have asked for more today." 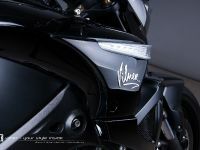 "A very difficult race for me. I had a good start and almost managed to pass Felipe but, unfortunately, my speed was not good enough, and I couldn't make the tyres work to their best. 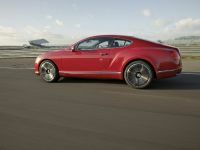 The Safety Car period didn't help me either, and I lost positions during my pitstop. Then I lost time behind Kubica. However, I managed to overtake him again two laps later and, from then on, it was a rather uneventful race. Fifth position was not what I had hoped to achieve here, but I am now looking forward to the Hungarian Grand Prix, where I will try my hardest to fight for a podium finish." 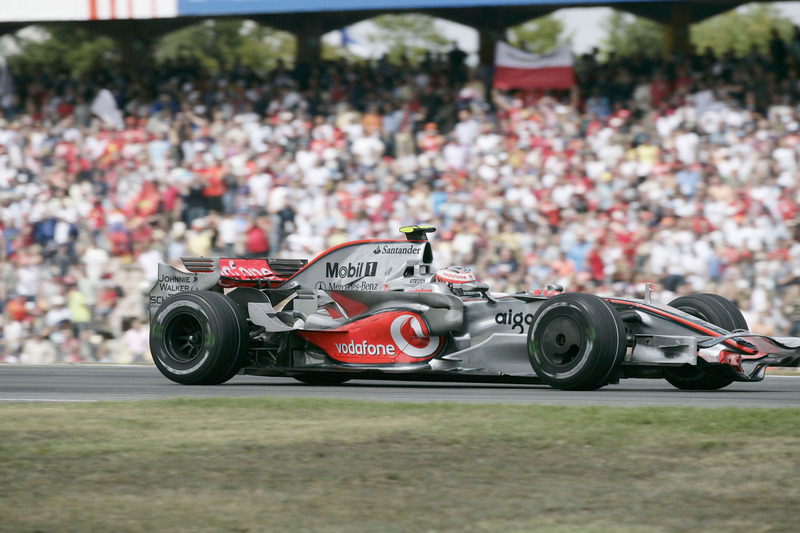 "Today's victory topped-off another magnificent weekend for the Vodafone McLaren Mercedes team. I stress the word 'team' because our win was very much a team effort. The deployment of the Safety Car presented us with a difficult decision: should we or should we not bring Lewis in for a pitstop? We decided that, since he still had quite a lot of fuel on board, we would leave him out until lap 50. We'd expected the track to be cleared of debris a little faster than it was, which would have allowed the Safety Car to come in a bit earlier. 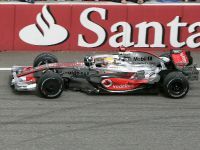 As a result, Lewis was unable to rejoin the race in the lead. He responded majestically, however, and scored another fabulous win. Heikki was troubled by oversteer in his first stint, which we attempted to correct at his first pit stop, but he still struggled a little in his next stint. That being the case, he wasn't able to match Lewis's pace today. But it's the mark of both his professionalism and his sportsmanship that, aware of his situation relative to Lewis's, he made it relatively straightforward for Lewis to pass him. As I've said before, Heikki's time will come. In difficult circumstances he raced tremendously well today - his overtaking manoeuvre on Robert Kubica was just sensational - and once again he showed a winner's grit and determination. 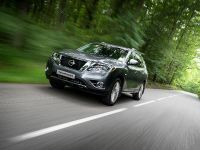 It's a joy to have two drivers who are not only super-competitive but also super-cooperative." 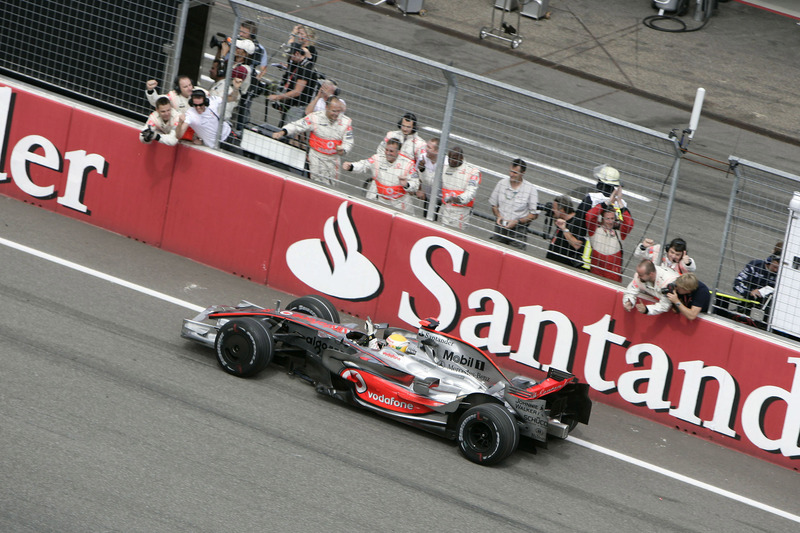 "A sensational victory for Lewis with some great overtaking - he was in a class of his own in the team's second consecutive home Grand Prix. His speed was better than I had ever dreamed of. After we let him continue during the Safety Car period we saw two of the most exciting overtaking manoeuvres of the championship. I am really happy about this convincing win - thank-you Lewis. I also want to thank everybody in the team for doing a great job; not only in the garage but also to everybody on the marketing, press and organisational side. 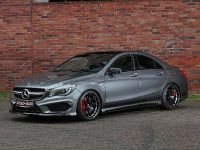 Finally, I want to thank all our friends and guests who enjoyed a fantastic day at the Mercedes grandstand where they all saw a lot of action and enjoyed the great atmosphere."